Legal separation refers to the process by which a married couple can declare that they are no longer living together as a married couple and want such separation to be recognized by law. 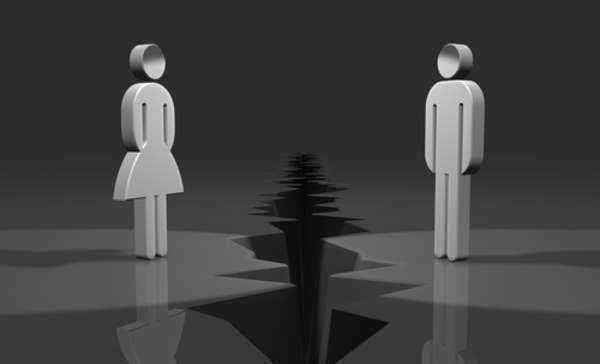 The main issue with legal separation is that is constantly confused with a divorce. Legal separation and a divorce, though they may seem similar because of the inherent separation of the couple, are not one in the same. The key difference is that legal separation, though certain arrangements are made similar to a divorce, the couple will legally still remain married. A divorce is the dissolution of the marriage under decree of law. Legal separation is often times referred to as a trial separation because the couple will still remain married even though are separated. It is common for a legal separation to ultimately end in a divorce and is usually the first step during the divorce process. However, a legal separation does not necessarily mean that a divorce is to follow. There are other reasons as to why a married couple may seek a legal separation, but not necessarily a divorce. A common example may be the case where a couple decides to separate and no longer live together as a couple, though certain benefits, particular health benefits, may suffer as a result of a divorce. A legal separation will allow for the married couple to simply no longer live together, but no lose out on such benefits. A legal separation, though not necessary, is usually advice given to couples no longer wanting to remain married as a way to have legal protection for both parties.